In the 1960’s, it was even more common, and far more relevant. The Beatles were cuddly and parent-approvable, at least in the beginning. The Rolling Stones represented danger and darkness, oozing an oily sexuality that parents were certain would cause their teenyboppers suddenly to become government-overthrowing strumpets. Neither was true, of course—these were just two very talented rock n roll bands who changed the face of music, and had huge success doing so. 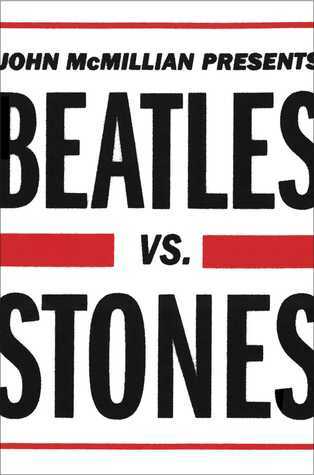 John McMillian’s excellent new book, “Beatles vs. Stones” doesn’t try to answer the age-old question from a musical standpoint. It is moot, after all. The Beatles broke up forty-three years ago, while The Rolling Stones are nearly seventy and still touring. The Beatles left basically eight years-worth of recordings, while The Stones recorded for decades (though some would argue they should have stopped earlier). We’ll never know what the Beatles would have done had they stayed together, and now that two of the four Beatles have died, there can’t be any reunion. What McMillian does is compare the behind-the-scenes machinations between the Fab Four and The Stones. The bands were hardly enemies. In the early 1960’s, they were quite friendly. John Lennon and Paul McCartney actually gave the nascent Stones a song to help them out. They competed for the same audience, of course, but that didn’t fuel personal or group animosity. “Beatles vs. Stones” details how the bands started the British Invasion. The Beatles were the tighter band, a product of their relentless gigging in Germany, and they’d become songwriters. With their bright harmonies, matching suits, and mom-friendly smiles, the Fab Four took off like a rocket. The Stones were still covering American blues. They were true to their roots, yes, but it took them longer to catch fire. Mick Jagger and Keith Richards had not become the excellent songwriters they would eventually be, and the band’s apparent sullenness was anathema to both parents and TV producers. Interestingly, the bands’s disparate images—the “good” Beatles vs. the “evil” Stones—were encouraged by management. The seemingly angelic Beatles were well-acquainted with amphetamines and weed from their years in Germany, and the seemingly evil Stones were hardly smack-addled drug fiends, at least not at first. McMillian presents numerous first-hand accounts of what happened behind both bands, from their acquaintanceship, to their record labels, and their respective managers—Brian Epstein for the Beatles, and Andrew Oldham for the Stones. Each band just wanted to make music. They left the backstage stuff to the suits. As it happened, there was a great deal of “backstage stuff,” and this book provides a sharp picture of how it affected these two seminal rock bands. “Beatles vs. Stones” touches on music, but this is not an argument over which band’s output was superior. Rather, it’s about two very talented rock bands whose management took them in different directions. McMillian covers their part in the music business, how they changed it, and how it changed them. It is also a very interesting read. Besides, the musical question “Which band is better: the Beatles or the Stones?” is a moot one here in the Twenty-First Century. Seriously. Hands down, it was The Stones during the Mick Taylor years. Period. This entry was posted in Books, Memoir or Biography, Music, Non Fiction and/or Commentary. Bookmark the permalink.